Swedavia AB was looking for a complete parking solution for Arlanda Airport in Stockholm. SWARCO was chosen because of its long partnership and, above all, its overall competence. A parking guidance system helps road users to find a free parking space - stress-free and comfortable. The fact that you can fly away at Arlanda Airport in a relaxed manner is also due to SWARCO's innovative complete parking solution, which combines barriers and parking guidance systems, parking space detection and parking reservation. This means that the system guides the user to the next free parking space via static and dynamic displays. And the corresponding software enables practical services such as online payment or parking reservation. With SWARCO, the signs and signalling systems were implemented. The products are not only reliable and of high quality, but also easy to operate. Usability is always at the forefront at SWARCO when it comes to new developments. Through modern engineering and years of experience in the development and production of LED-based signal technology, SWARCO sets the tone for signs and displays. 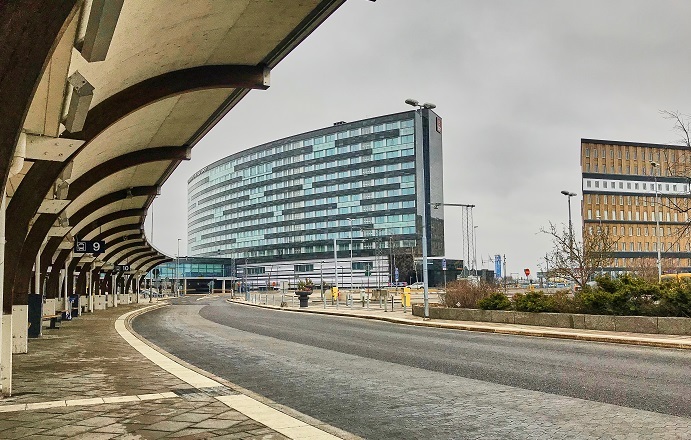 SKIDATA parking systems make the overall solution in Arlanda perfect: intelligent and secure access systems provide maximum convenience for users and professional data management and controlling for operators. Because the entire system can be easily controlled via software.